You can even customize your party with our themed banners and invitations. Remember your decorations are not complete without our hanging decorations. Costumes will set a festive mood for every guest at your party. 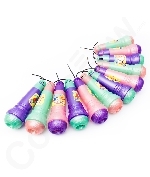 Deck out your party with our microphone!